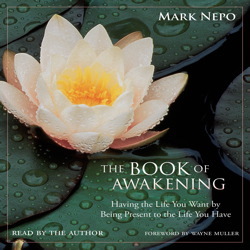 Today's Draw Special Edition, Part Deux: The Fly at the Window from The Book of Awakening by Mark Nepo. Do you think compassion is only for the deserving? Who judges what is deserving and what's not? And can you slip into another's streams without getting lost? Gah! Yesterday I told you I'd do part two of this entry for tomorrow (Saturday), but that is usually the day I do the weekend reading. So guess what? You get a bonus Friday entry! Yesterday we talked about slipping into the stream of spirit, where you connect with the divine intelligence and allow it to guide you. It sounds like something you'd have to study for years to do, but it's really as simple as exhaling...as just stopping the struggle against the flow of your life. Somewhere along the line we were taught that we have to control everything in our worlds and it's just not true. We just have to make steps toward what we want and let the universe do the rest—AND trust in the wisdom of whatever that brings. So that's what "getting in the flow" or "entering the stream" is all about.